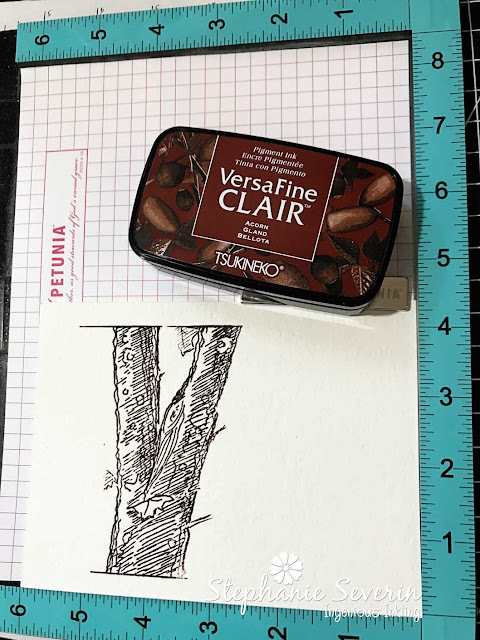 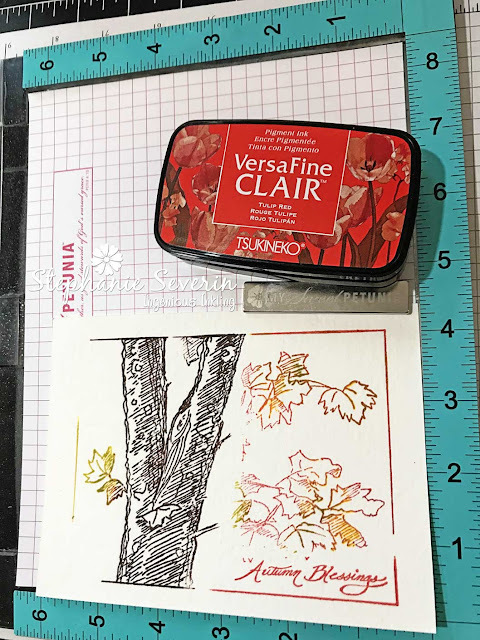 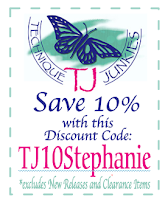 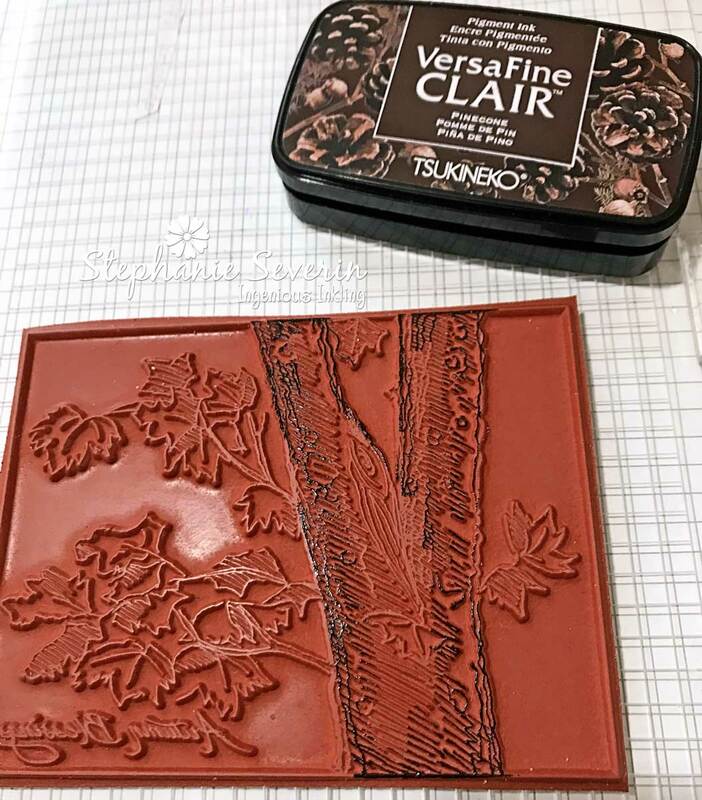 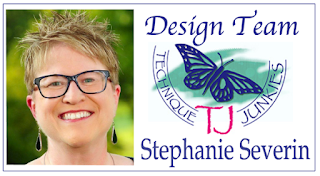 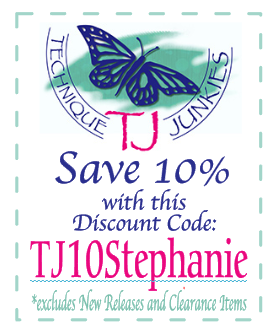 Remember, you can use my Discount Code TJ10Stephanie for 10% off anything in the store (the store is also carrying the wonderful Versafine Clair Inks & the MISTI that I used for my projects). 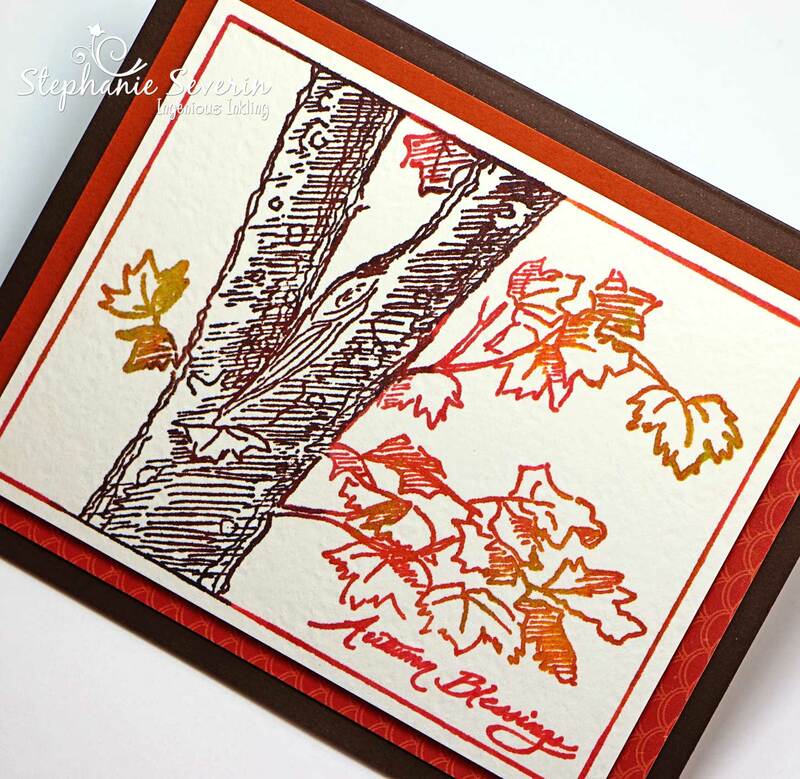 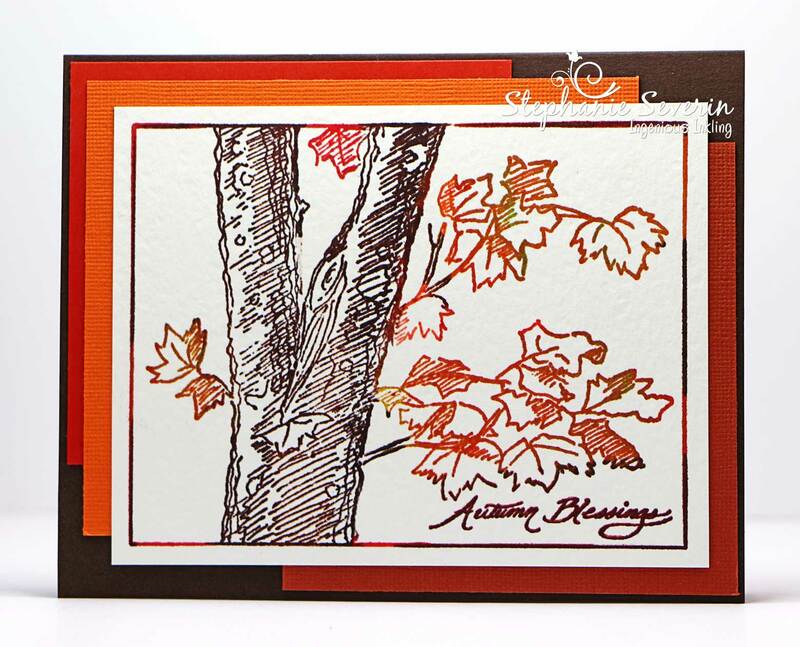 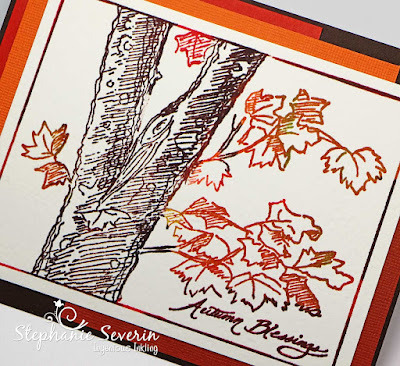 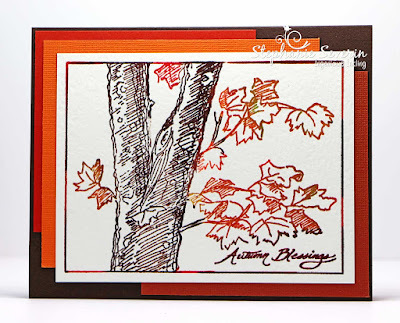 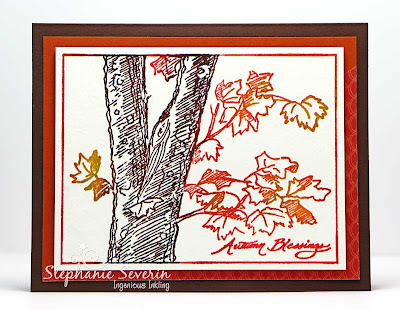 I used one of my favorite MISTI Techniques to use various colors of ink to *paint* the new Autumn Blessings image designed by Janine Tinklenburg from Mitten State Stamps exclusively for Technique Junkies. 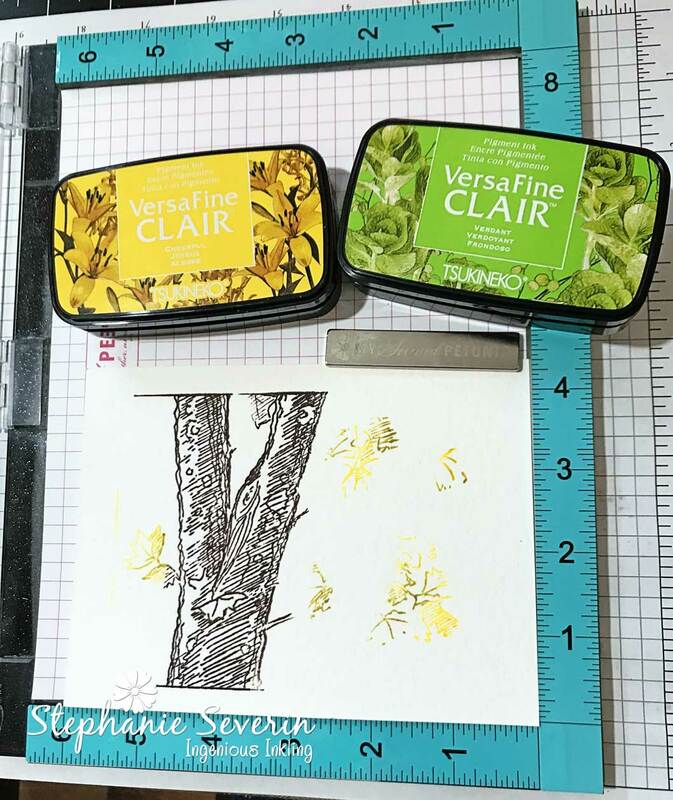 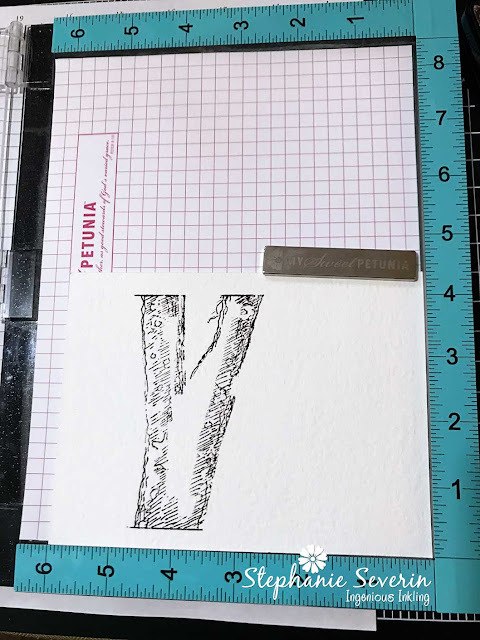 I use watercolor paper because it works well for the multiple layers of stamping. 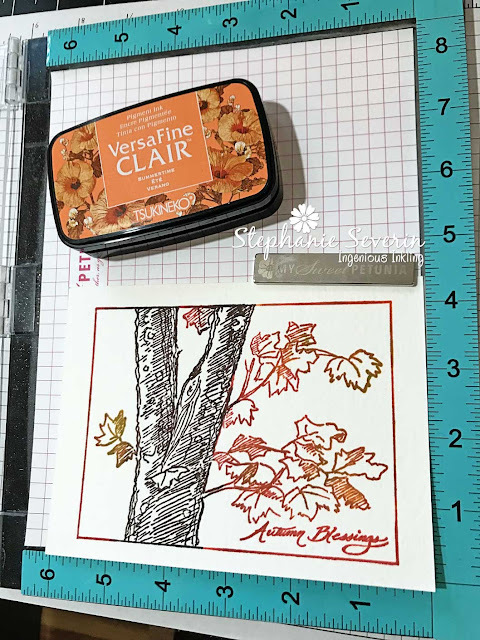 Prior to the MISTI to get this effect, I had to color the entire stamp with ink or markers (and then huff and huff to make sure all of the inks were wet enough to stamp). Being able to layer on each color with multiple inkings makes it so much easier. Next I started with the lighter *hot* colors to *paint* my leaves.